Building on research from the New Economics Foundation, NEF Consulting offers tools and resources to prove and improve the impact of social enterprises, charities and other mission-driven organisations and projects. 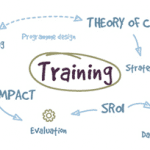 Once you’ve browsed these pages, you will be ready to learn how to apply NEF Consulting’s tools and approaches to build capacity and create change with our range of training options. This section, based on the Toolkit published in 2005, guides you through the process, from choosing and approach to ‘proving and improving’ to identifying the tools and methods that can be most useful for your organisation. The contents of the toolkit are being reviewed and updated. Applying the tools and methods mentioned on this page takes time and many benefit from. At NEF Consulting we’re passionate about training others in our tools and approaches as we believe this is an effective way to make a long-term impact. Click here to find out more about your training options. The Decider and Comparison Charts are designed to be used together, offering an overview of approaches to measuring impact and quality. The charts feature more than 20 tools compared for quick reference. An A3 sized wall chart to help identify the best tools suited to your organisation and your performance management needs. An A3 sized chart with more detail on each of the tools in the Toolkit and in the Tools For You book. Provides the fundamentals of measuring the outcomes and impacts of your work and help on developing your own indicators. Involving volunteers and beneficiaries in telling their project’s story. Looking beyond the ‘easy-to-count’ to the important changes for the participants and their communities. Investigating how change takes place, and how to improve impact. Sharing and building on the learning gained from peoples’ experiences of taking part. Prove It! draws from a decade of the New Economic Foundation’s work in participation and evaluation. For more information click here.